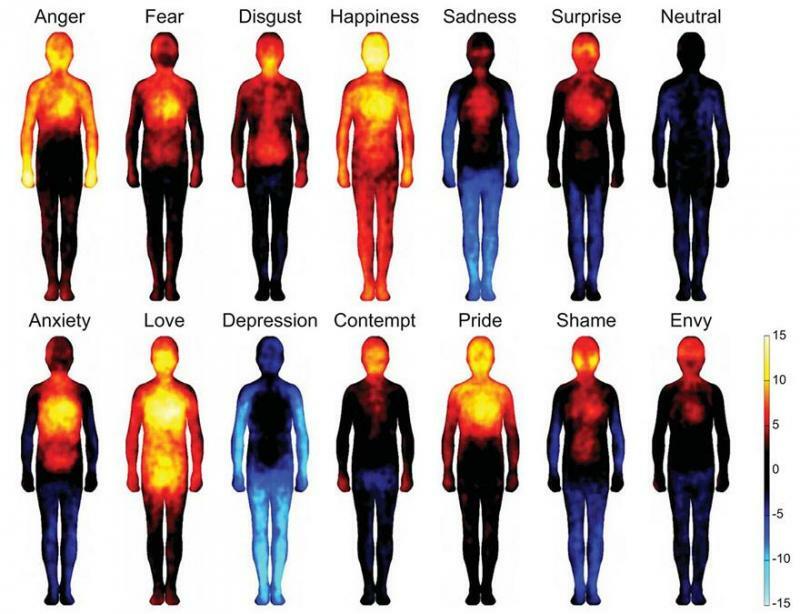 A group of bio-medical engineers from Aalto University researched 700 volunteers from Finland, Sweden and Taiwan in order to map human bodily sensations connected with certain emotions. Participants were exposed to a range of emotional videos, pictures and stories to trigger specific emotions. They were asked to map parts of their computer-generated silhouettes where they felt any increased/decreased activity. The complete results are published in the journal Proceedings of the National Academy of Sciences.